​70% of the lots have been sold, and 10 have been developed with owner-occupied single family homes and attached hangars. Our roadways double as taxiways, with access to the runway from every lot. 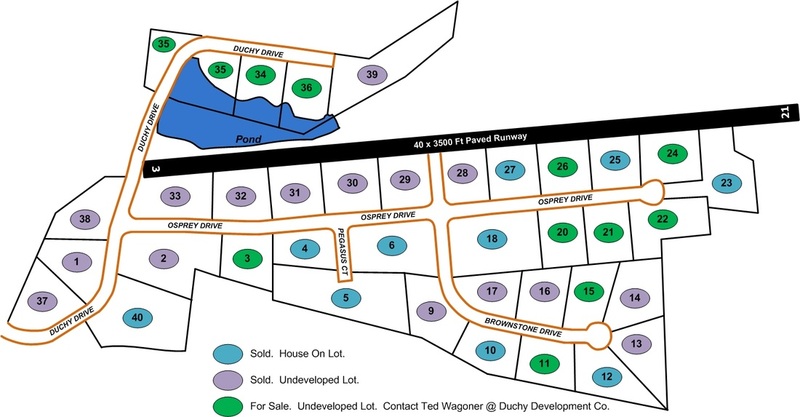 For information on the lots for sale by the Duchy Development Company, please contact Ted Wagoner at 336-516-0644 or tedwagoner@triad.rr.com.